Great Britain will host New Zealand at London's Copper Box Arena on 25 July. 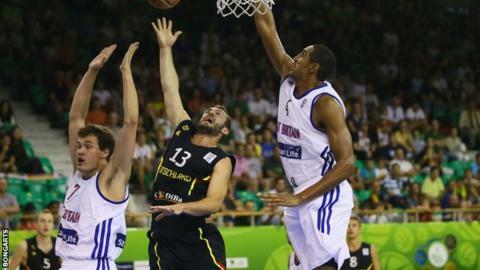 The British team are currently ranked 22 in the world, while the Tall Blacks are one place higher. Scotsman Kieron Achara is expected to be part of the GB squad and he said: "Let's get the Copper Box packed out and full of noise." In August last year, Britain failed to qualify for the EuroBasket event, which is being held in Croatia, France, Germany and Latvia in September. The immediate future of Britain's elite men's and women's basketball teams was secured last November thanks to emergency public funding.